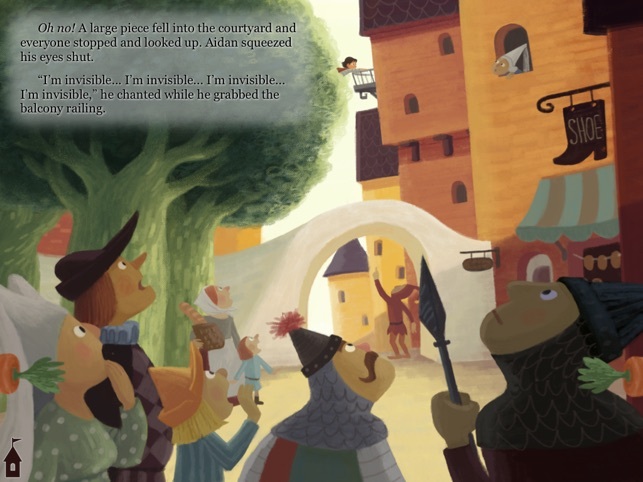 "One of our favorite interactive books. 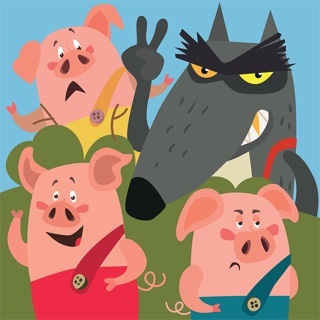 Excellent voiceovers and visuals help bring the story to life. Animations are smooth and relevant to the story." Grab your cape and join the fun! Aiden is just an ordinary kid—loves costume play, watching clouds pass by, seeing castles in the sky… and he doesn’t like vegetables. 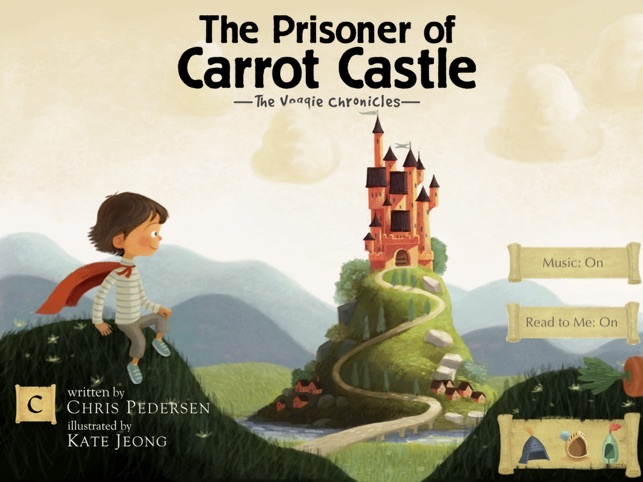 In “The Prisoner of Carrot Castle” Aiden’s imagination transports him to a far away place where he finds himself a prisoner in a cell made of carrots. What will he do? Must he face the angry King? Will his hate for vegetables get him in trouble? Come along and help Aiden as he tries to escape from Carrot Castle. 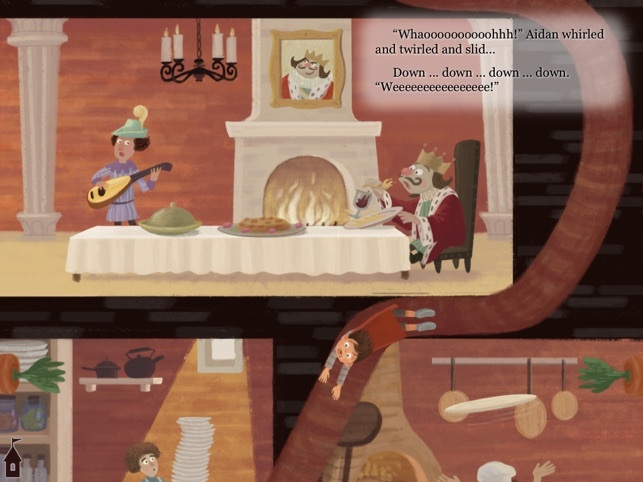 When Aiden gets stuck, kids play a role in helping him move ahead in his adventure. The story comes alive as the text is read. Find silly animations and sound effects as the action unfolds. 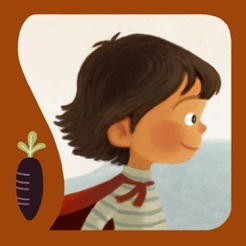 Through creative storytelling, kids learn that eating vegetables is good—it can actually help them. 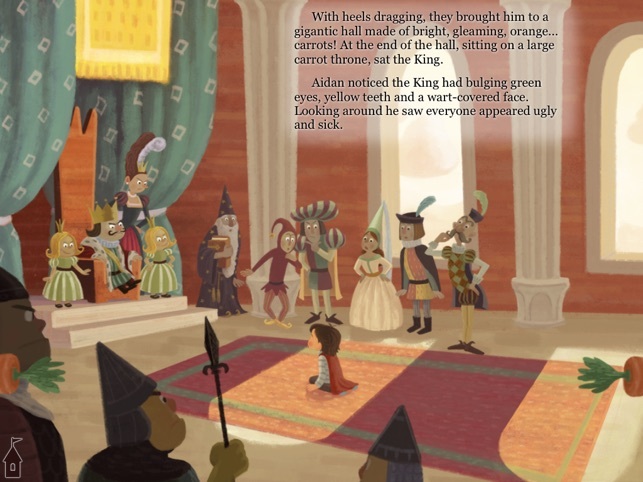 Narrated by the author, Chris Pedersen, this interactive book for the iPad includes reader involvement in moving the story forward (tapping, sliding, tilting), animation, sound effects, stunning illustrations, music and games. 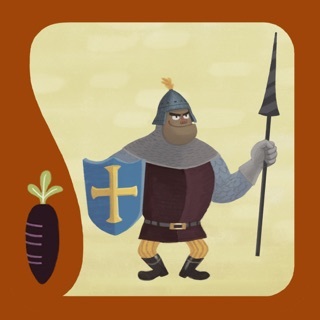 The "Prisoner of Carrot Castle" is an original story written and illustrated for the iPad. Targeted for kids 3 to 8-years-old, the story’s interaction and games help them develop fine motor skills. •“Read to Me On”—to have the story narrated. •“Read to Me Off”—to read the story to myself. This is a wonderful book for children. Our grandchildren love it. The first time one of our grandsons (age 5) "read" it, he was captivated. That first reading kept him doing it over and over again. He laughed, talked to the characters and kept discovering new interactions he could do. Now when he visits, he heads straight to the iPad. His older brother (8) joined right in with him too when he heard his brother having so much fun. The positive depiction of vegetables for the 5-year old is great because he is not a veggie lover! I have been recommending this book to all the mothers & grandmothers with young children that I know. You won't be disappointed! At the end of the story there are some dress up games to play, too. I would definitely recommend this app.